So why can’t we get better pictures of dwarf planets like Pluto, Ceres, and Eris with Hubble? It has to do with the telescope’s resolution. To explain, let’s start with a little math (don’t worry I will explain it in another way too for the folks who just groaned at me 😉 ). delta = 2/arctan(0.5 d/D), where delta is the angular diameter, and d and D are the visual diameter of the object and the distance to the object respectively, expressed in the same units. The angular diameter, or apparent size of an object as seen from a given position, is the “visual diameter” of the object measured as an angle. Since these angular diameters are typically small, it is common to present them in arcseconds. An arcsecond is 1/3600th of one degree, and a radian is 180/pi degrees, so one radian equals 3600*180/pi arcseconds, which is about 206265 arcseconds. Therefore, the angular diameter of an object with visual diameter d at a distance D, expressed in arcseconds, is given by: delta = 206265 d / D arcseconds. So let’s look at something we can all recognize. The angular diameter of Sun, when seen from Earth is approximately 1920 arcseconds. The planet Eris, however has an angular size of about 0.09 arcseconds. This is significantly smaller than the Sun, and also significantly smaller than other more distant objects such as galaxies and nebulae. The Orion Nebula’s angular size, for example, is about 1500 arcseconds. This basically means that Orion looks 17,000 times bigger in the sky than Eris, even though Orion is much farther away. 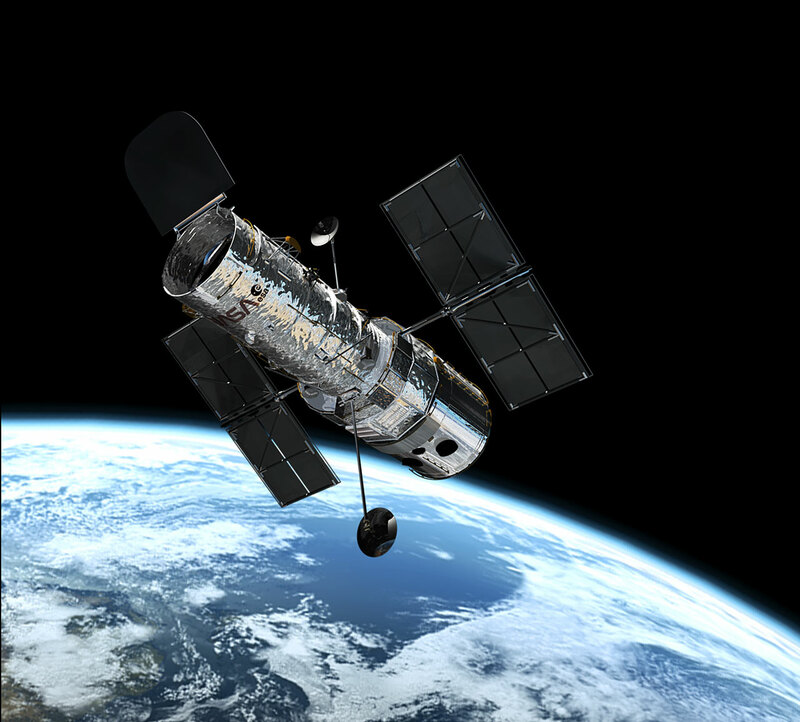 Our friend Hubble has a maximum resolution of 0.014 arc seconds. Even though Eris is 0.09 arcseconds, this just means that we can see it. It doesn’t mean that we can zoom in to awe inspiring detail. Not without a much larger aperture. So what does this mean in English? Remember that the galaxies Hubble is observing are easily 200,000 light years across in many cases even though they’re much further away. This roughly equates to looking at a house from several blocks away. No problem, right? You might even be able to clearly make out details like the windows and doors. Eris, however, is very tiny even though it is close. This is more like trying to look at an ant on your house from just across the street. You cannot see it so clearly any more.